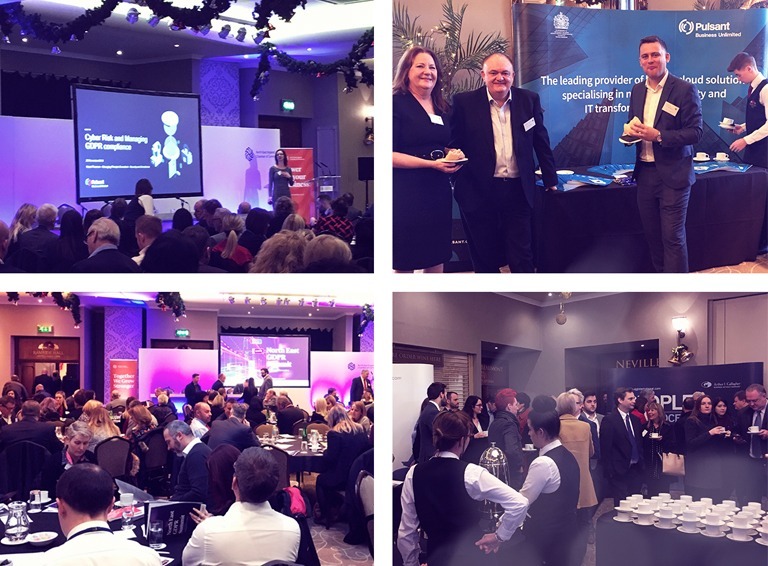 Pulsant has recently participated in an exclusive GDPR event, hosted by the North East Chamber of Commerce, to help local businesses navigate the new legislation and understand what they need to do to become compliant. Pulsant’s Managing Principle Consultant, Hazel Freeman (CISM, CISSP) presented a session on systems and technology and how this is affected by GDPR, specifically around what needs to be considered, and what measures need to be put in place. Industry experts from KPMG discussed the financial implications, representatives from Womble Bond Dickinson spoke about the legal aspects, and insurance and risk management was covered by the Arthur J. Gallagher team. With the compliance deadline just months away, the event yielded some great insights. If you weren’t able to attend, why not get in touch with the Pulsant team today to discuss your concerns and requirements when it comes to GDPR.